We receive many cards and letters of thanks following our services to bereaved families within our community. Below is a small selection for your additional peace of mind, which we believe offers a sound recommendation from a selection of our clients. On behalf of my father, brother and our families, I write to thank you and your staff, most sincerely, for your help, guidance and not least, the very efficient and dignified funeral arrangements for mum. "Would you please be good enough to convey our thanks to your wife and staff for the catering, which was absolutely superb. Well done and thank you all again." "Thank you for all your help and support during this hard time. " "Just a note to say a big thank you for the friendly and efficient service you provided." "Many thanks for your personal and professional attention when arranging the funeral of my mother, she would have been proud of your attention to detail and compassion which was impeccable." "You made a very difficult and sad time easier to bear. 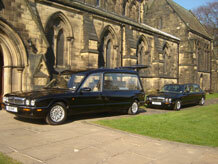 Your professionalism is most impressive - particularly the respect you show by walking in front of the hearse." "We would like to express our gratitude to you for the professional manner you displayed to us during a time of immense grief. We are grateful for the dignity you displayed for our Mum during the funeral. Thank you." "Thank you very much for your kindness and sympathy and for the excellent funeral arrangements and for your bereavement aftercare information. We appreciate all you have done to make a difficult time as easy as possible." "The funeral was just as I wanted, thanks to you. You were brilliant and so is your wife, the food was delicious, all the things that we liked. Hope you are still around when my time comes! Many thanks." 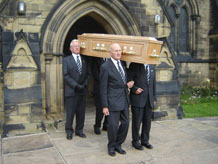 "Thank you for the kind, caring and professional services you provided on the occasion of our recent sad bereavement." 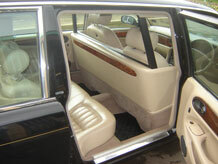 "On behalf of the family please accept our sincere thanks for a superb and efficient service. My mother would have been delighted as we all were." "Kindness comes from a place in the heart - Thank you for all your professional care and consideration during the funeral arrangements for my mother. You helped ease a difficult time and made the day run smoothly and successfully." "Richard, just a note to say thank you for all your care, consideration and expertise in the way you dealt with my mother's funeral." "Many Thanks Richard for all your help and care in organising my Aunt's funeral arrangements; it was totally "stress free." Everyone said how nice everything was and felt that my Aunt would have agreed. A big thank you to your wife and the ladies for the lovely buffet, everyone enjoyed that. Thank you again from both of us."